We have come a long ways from the organization on January 3rd, 1970, with Rev. Roosevelt Foley elected as the first pastor. On June 5th, 1970 Ideal purchased the property were we are currentlylocated from the Bel Aire Baptist Church of Tucson, Arizona. 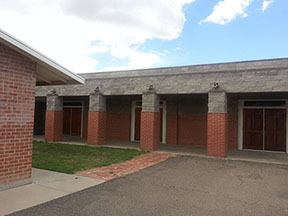 The property was improved under the leadership of then Pastor Larry W. Rosette, adding the addition of the new sanctuary. We continue to serve the Tucson community helping all those that seek assistance both members and non-members. While not having resources to help everyone, we do our best to help those that are in need. In today's times we are receiving more request for assistance than in times past. 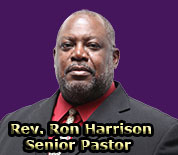 As we move forward today under the leadership of our Pastor, Rev. Ron Harrison. We are preparing for a new harvest. Updating our facility and embracing this new electronic era. Embracing the web and smart phone technology to reach those that we may not otherwise reach. We are a progressive church, one willing to think outside the box in order that we might carry out the mission of the church, the mission of changing lives leading others to Christ. While we are a Baptist Church, we do not limit our worship and fellowship to only Baptist Churches. We choose to worship and fellowship with all denominations that believe similar Biblical principles as we do. We choose to focus on what we both believe rather than the differences in our basic doctrine. This does not mean that we are compromising the our doctrine, but rather embracing all others that believe in the Father, the Son and the Holy Spirit. Our doors swing on welcome hinges, we invite you to come be our special guest at any of our Worship Services. Come let us together worship and praise our God, so that as the praises go up, His blessings he will pour down.